Round Diffuser with Elastic Edge. Fits Reflectors or Beauty Dish between 7" and 12" in diameter. Excellent for portraits. 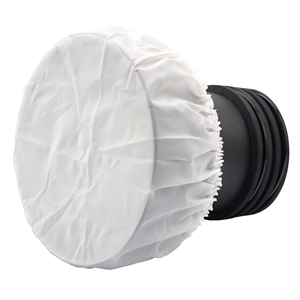 Use as a replacement for a lost diffuser or use on a reflector that did not come with a diffuser. Use with Flash or LED light. Not for use with hot lights.